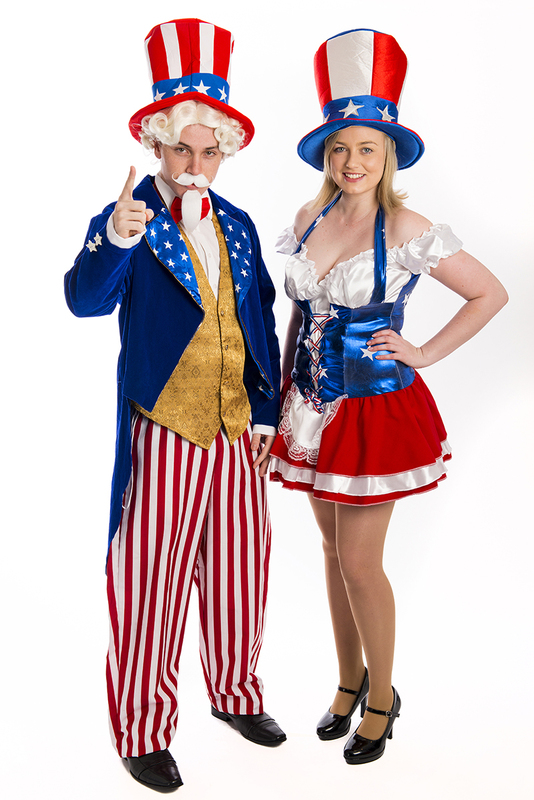 Uncle Sam and Miss America costumes for hire. Perfect for an American or Around the World theme party. Costumes priced individually, can be hired together or separately.